Join the people of the land…Come with us on a spiritual retreat, a sacred journey charged with a unique and undeniable energy. As you travel through the heart of Arizona you’ll experience its inspiring life force, and soon discover its remarkable aura. 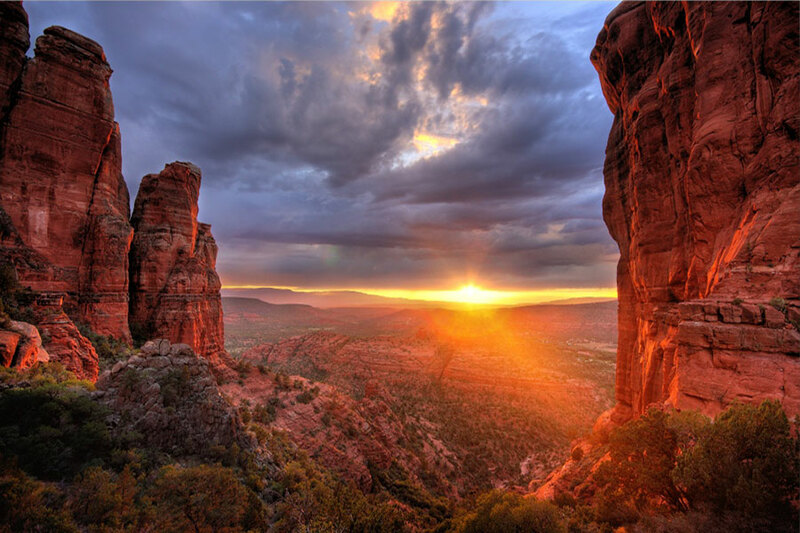 Find your strength; reconnect…with this Sedona earth medicine retreat set against the backdrop of a truly holistic environment. Partake in a powerful space on private Navajo and Hopi land. This retreat is your chance to immerse yourself in the culture and wisdom of Hopi and Navajo spiritual teachers, and enlighten yourself with a different inspiring perspective. Learn about their fascinating “Medicine Wheel” teachings, visit the amazing Sedona vortexes, revive yourself should with Native American healing ceremonies, and purify your body and spirit with a native sweat-lodge ceremony. Finally, test the limits of both your body and mind as your Native American teachers take you on an overnight Vision Quest; overcome your fear and exercise your inner strength. Spend a day out on the red rocks learning to paint with water colour by the gifted clairvoyant, intuitive artist teacher and spiritual healer Nataya. Participate in Soul Journey and retrieval Drumming ceremonies connecting with a past life, the mystical child within, your animal power totem and much more. Top all of this off with the plethora of metaphysical shops you get to spend time at in Sedona itself. Life will never be the same after your Hopi and Navajo initiation. I had a wonderful and rewarding time on the Sedona retreat. It gave me a few great experiences which lead to a shift in consciousness. Sharon was wonderful, very professional and she certainly has the perfect personality for this type of venue. Everyone was in harmony which made the retreat comfortable and fun. I would recommend this as a great spiritual journey. Thank you Sharon you made this a wonderful memory. A most amazing trip from beginning to end. Sharon our Lifestyle Journeys guide was a beautiful person, full of fun, laughter and just so obliging and keen to make sure that we were all happy; and had everything so well organised with the other local guides. Such an unusual journey and meeting and travelling with the Hopi and Navajo guides on the mesas/reservations, eating with their families and dancing with them. The overnight solo in the Canyon was extraordinary, seeing the beautiful stars and moon and alone with nature. Thank you for this experience. Costs: We are refining our tour itinerary and price. Please register your interest as we would love to have you join us!